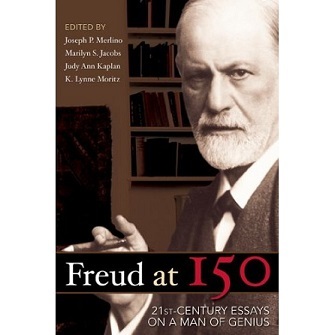 The year 2006 marked the 150th anniversary of the birth of Sigmund Freud, the father of psychoanalysis. To commemorate this event, the Austrian government sponsored a number of academic and cultural events. Among these was a historic gathering of representatives of the four major United States psychoanalytic organizations: the American Academy of Psychoanalysis and Dynamic Psychiatry, the American Psychoanalytic Association, Division 39 of the American Psychological Association, and the American Association for Psychoanalysis on Clinical Social Work/NMCOP. The essays presented by speakers from these organizations at the Embassy of Austria in Washington, D.C., survey the tremendous and wide-ranging influence that Freud had on history, contemporary society, culture and the arts. These essays form the centerpiece of this book. Complementing these wide-ranging essays are literary works and remarkable photographs of Freud, his family, colleagues and patients which were also presented during the commemorative celebrations of Freud in the United States and Austria. Thomas Aichhorn, César A. Alfonso, Harold Blum, Katherine Brunkow, Jaine Darwin, William L. Granatir, Sheila Hafter Gray, L. Gordon Kirschner, James Kleiger, Edith Kurzweil, Nancy McWilliams, H. Michael Meagher, J. David Miller, Stanley R. Palombo, Miriam Pierce, Richard Ruth, Ann-Louise S. Silver, Golnar A. Simpson, Helmut Strutzmann, Usha Tummala-Narra, Audrey Thayer Walker, Eli Zaretsky.